Whole Health Source: Do Blood Glucose Levels Affect Hunger and Satiety? Do Blood Glucose Levels Affect Hunger and Satiety? You've heard the story before: when you eat carbohydrate-rich foods that digest quickly, it sends your blood sugar and insulin levels soaring, then your blood sugar level comes crashing back down and you feel hungry and cranky. You reach for more carbohydrate, perpetuating the cycle of crashes, overeating, and fat gain. It sounds pretty reasonable-- in fact, so reasonable that it's commonly stated as fact in popular media and in casual conversation. This idea is so deeply ingrained in the popular psyche that people often say "I have low blood sugar" instead of "I'm hungry" or "I'm tired". But this hypothesis has a big problem: despite extensive research, it hasn't been clearly supported. I've written about this issue before (1). A new study offers a straightforward test of the hypothesis, and once again finds it lacking. Bernd Schultes and colleagues used a clever design to isolate the effect of blood glucose on appetite (2). They recruited 15 healthy young men, and on two occasions fed them an identical light breakfast. On one occasion, they waited one hour after the meal and infused saline containing 50 grams of glucose into the volunteers' bloodstream over a one-hour period. On the other occasion, they did the same thing except using saline without glucose. Throughout the infusion, and one hour afterward, the researchers monitored levels of blood glucose, blood insulin, and markers of appetite. As expected, the glucose infusion markedly increased blood glucose and insulin levels in the hour following the meal. After the researchers stopped the glucose infusion, the volunteers' blood glucose levels declined, eventually reaching a level significantly lower than the control condition (54 mg/dL vs 70 mg/dL). This is the post-meal "crash" that is supposed to trigger appetite. Yet levels of hunger, appetite, satiety, and fullness didn't differ between groups at any time-- either during the infusion or afterward. We have extensive evidence that the brain pays attention to blood glucose levels, and triggers appetite when it goes too low as part of a suite of protective responses to maintain blood glucose level (this is called the "counterregulatory response"). However, the evidence overall suggests that you have to have pretty serious hypoglycemia for this to happen-- something that rarely occurs in people who aren't using insulin to treat diabetes. When researchers actually measure the blood glucose level of non-diabetic people who report feeling "hypoglycemic", a small percentage of them really are hypoglycemic, but the vast majority have perfectly normal blood glucose levels (3, 4, 5, 6). Hypoglycemia is not something that occurs frequently in the general non-diabetic population, and it doesn't offer a compelling explanation for why we feel hungry or tired between meals. The brain listens to a variety of signals that indicate the body's energy status, and it integrates these signals to determine your sensation of hunger or satiety (7). Glucose is one of the signals the brain listens to, but there are many others, and the brain doesn't appear to pay very much attention to the glucose signal when it's within the range that occurs in the daily life of most people. In contrast, the brain pays attention to levels of leptin, CCK, GLP-1, glucagon, amylin, ghrelin, and signals ascending from the gut via the vagus nerve (7). I like this study because it manipulated blood glucose levels in a way that's not likely to be confounded by variables that bedevil other study designs. They pulled this off by directly manipulating blood glucose, mimicking the glucose profile of a high-glycemic meal to see if post-meal fluctuations at the extreme end of the normal range affect appetite. And, consistent with most previous research, it looks like they don't. How do we reconcile this with the fact that some single-meal studies have found that lower-glycemic meals are more sating than higher-glycemic meals (8)? Here's what I think. The sating effect of low-glycemic meals probably doesn't have much to do with blood glucose at all, but rather: 1) the fact that these studies are usually not properly controlled for other variables known to affect satiety, such as calorie density, fiber, protein, and palatability; and 2) the fact that lower-glycemic foods digest more slowly and therefore tend to leave carbohydrate hanging around in the gut interacting with intestinal satiety receptors for longer. These findings clearly speak against the notion that fluctuations in glycemia and also insulinemia represent major signals in the short-term regulation of hunger and satiety. The lesson here, I guess is that, just because there is a seemingly compelling narrative to support an idea, it does not mean that that’s how biology in real life actually works. Awesome study. I was always suspicious of these "hypoglycemics" and their supposedly low blood sugar. My name for there people who can't seem to go for more than a couple hours without eating is "sugar-gliders". Mostly skinny white women, but not always. This does beg the question why these people are compelled to eat? I suspect there is some compulsive/addictive behavior going on where they need that frequent hit of sugar. Or maybe they are just conditioned to eat frequent small meals? I notice when it comes time to actually sit down and have a substantial meal they just pick at it and end up throwing most of it away (wasting the food is a whole other issue). Curious what you think, Stephan. It's possible that glucose levels have no effect on appetite in "healthy young men." They do have an effect on me, a postmenopausal woman with type 2 diabetes. But it's not just very low BG that triggers hunger (along with a feeling that if I don't eat, I'll die), but *rapidly falling* BG, way before I'd go low. What makes sense to me is that when you're coming down rapidly, the body wants to correct *before* you go low and pass out, just as if your toddler was coming down a slide and you noticed some broken glass at the bottom you'd want to catch the kid *before* the kid slid into the glass. So I'll wait until more studies are done with people who have diabetes until I believe that glucose levels in a physiological range have no effect on hunger. We know that very low levels trigger intense hunger. One problem with every study, however, is that hunger is subjective, and with very low BG it may be the feeling that you'll die if you don't eat that makes you eat, rather than traditional hunger. When you feel that way, you're not interested in fine distinctions. You just want to eat. Matt, I know you didn't ask me, but please don't think all people who get low blood sugar are faking it. About 25 years before I was Dx'd with type 2 diabetes, when I did the wire desk at a newspaper, I used to go low. I hate getting up early, so when I had to be in by 7 to do the wire desk, I'd reward myself by getting a chocolate doughnut and coffee (I normally didn't eat breakfast). Almost exactly 4 hours after this, I'd get the shakes. When I started shaking, I'd think, "Oh. It must be 11 o'clock." I discovered the shakes would go away if I ate a candy bar. This "reactive hypoglycemia" is common in people destined to get diabetes. I knew nothing about this at the time. I'm sure there are some people who aren't really going low, just as there are some people who think they're gluten sensitive when they're not. But there are also people who really do get hypoglycemia, just as there are people who have nonceliac gluten sensitivity. Stephan, so how do you reconcile these results with this from this study? "After glucose intake, seven patients had symptoms (palpitations, headache, tremor, generalized sweating, hunger, dizziness, sweating of the palms, flush, nausea, and fatigue), whereas in the control group, one subject reported flush and another palpitations, tremor, and hunger." "Suspected postprandial hypoglycemia is associated with beta-adrenergic hypersensitivity and emotional distress." This was my interpretation of the purely refined carb breakfast: you eat 200-300kcal of refined carbs and after a while you have almost the same level of hunger as if skipping breakfast. Good to see you around these parts. As Gretchen said, some people are genuinely hypoglycemic, but it's not common. As for the rest, no one really knows. It's possible that some aspect of glucose physiology is involved, like the rate of change of blood glucose, or the rate of metabolism in specific brain neurons. But to my knowledge, that has never been clearly demonstrated. It might also have nothing to do with glucose, but simply reflect the brain's overall picture of energy status coming from all the signals I mentioned in my post. I know you and Jenny Ruhl have advocated for the falling glucose hypothesis in people with specific metabolic profiles. I think it's a plausible hypothesis, but I hope you understand my skepticism since there are only anecdotes to support it. Thanks for sharing that. I don't have access to the full text, but from the abstract it looks like they screened people for "adrenergic symptoms appearing after meals rich in carbohydrates and by their rare association with low blood glucose level". So consistent with the studies I cited, these people were not representative of the general population but seem to be among the small minority of people who really do get post-meal hypoglycemia, at least on occasion. I'd also like to point out that they got symptoms after drinking 75 grams of straight glucose, which is extremely high glycemic compared to a normal mixed meal. As the studies I cited in my post reported, people who go hypo after drinking glucose rarely go hypo after a mixed meal, which is the thing that matters for daily life. So from my perspective, this study is consistent with the others. Good point, I've been thinking about that too. I'm not 100% certain, but I think the intravenous glucose would probably not trigger satiety. The reason is that satiety comes primarily from what happens in the gut, not the bloodstream. Satiety occurs when stretch receptors in the stomach are stimulated by incoming food, and when glucose, amino acids, and fatty acids stimulate receptors in the small intestine. That information is relayed to the brain primarily by the vagus nerve, but also by circulating hormones like declining ghrelin, increasing CCK, GLP-1, glucagon, amylin, etc. The brain then uses that information to determine your level of hunger or satiety. Together, the evidence suggests that blood glucose just isn't a major determinant of satiety for most people. Satiety comes from the gut, and is modulated over the long-term by leptin levels. Steve, Another factor. I found a paper saying symptoms were different when supine or sitting or standing. I don't have access to full text of the article you cited, but if they were infusing stuff IV, they might have kept patients supine. I've written to authors to ask, but who knows if they'll respond. I was once working at my computer and felt fine. Then I stood up to go in for lunch and WHAM! Felt a bad low but managed to reach kitchen to test BG, and it was 25. At 20 you tend to go into a coma, and I retested and got 35. Meters aren't too accurate at extremes, but it was clear I was very low. At this point I had difficulty standing up, heart pounding, etc. so hunger was not my first thought. But it's an illustration, albeit annecdotal, of the effect of posture on symptoms. I know that as a working scientist you have to accept controlled studies over annecdotal reports, but when one hears the same things over and over from people, I tend to believe them more than controlled studies that may not replicate real life. For example, hundreds, maybe thousands, of people who go on LC diets report that their hunger disappears so they're able to lose weight, but scientists keep citing that study that purported to show that potatoes were the most satiating, although the study was rather short term as I recall. It was a long time ago. I think it's likely that different physiologies react differently to all these factors, and until we can identify them, things will be muddled. Hunger research is so complex, and I admire you for staying in the field. "Satiety occurs when stretch receptors in the stomach are stimulated by incoming food, and when glucose, amino acids, and fatty acids stimulate receptors in the small intestine. That information is relayed to the brain primarily by the vagus nerve, but also by circulating hormones like declining ghrelin, increasing CCK, GLP-1, glucagon, amylin, etc. 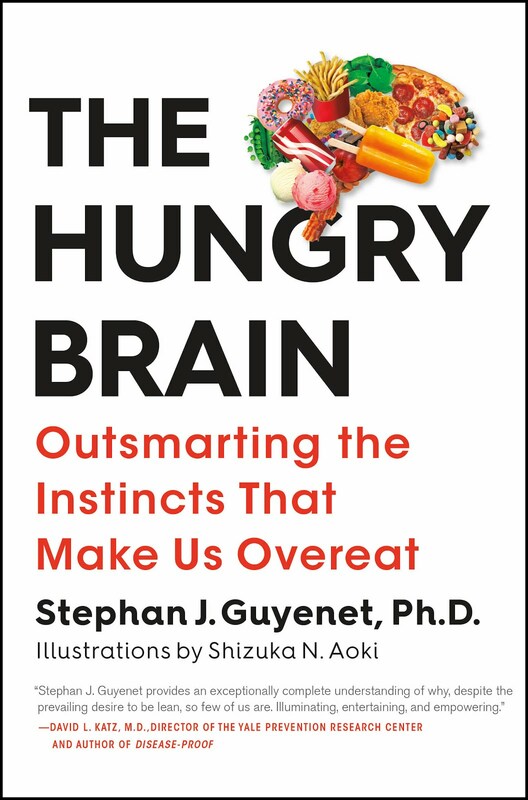 The brain then uses that information to determine your level of hunger or satiety." Curious as someone prone to binge eating it's not hunger that ends in a binge, it's when stretch receptors are full capacity after a meal, that's when my brain pushes me to keep eating and eating, despite the full stomach. IMO satiety has nothing to do with it, makes it worse. Large meals stretch the stomach out which precipitates a binge and common advice has been it's the insulin surge from the large meal. How can one avoid this, smaller more frequent meals but then people say this is bad also, you have to fast to get insulin down, etc. So confusing. It is amazing to me how the nutrition myths just keep falling. The human biology is rarely so cut and dried as to be defined by these fairly simplistic statements. 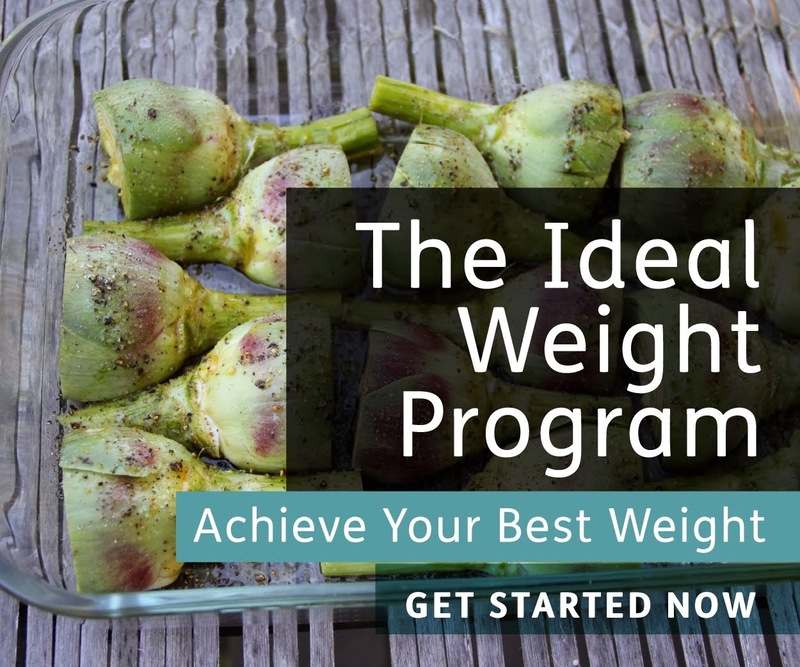 Of course, this ultimately leaves those of us with a responsibility for nutrition coaching with a bit of a dilemma as to how to advise people to eat. I am of the mind it is much safer to work with eating habits and be much less dogmatic about exactly what the composition of the diet is. This is not to say that there are some general priciples which should be followed, just that to advocate any one strict diet protocol over another may not make the sense we sometimes think it does. Thanks for a great post - I plan to link to it in a future blog post on my site. I of course realize you know much more about the field than me, but can such a low sample size really be trusted here? Does the close experimental control guarantee enough statistical power so we should not worry about missing small or medium sized effects? Here is a stylized fact that is possibly relevant. There is in endurance sports a phenomenon that in English is called "bonking". This is not the same as ordinary fatigue; it means running out of stored glucose. When you do the arithmetic on plausible values for stored glucose, work rate, and percent calories derived from glucose at a given work rate, you need to be exercising very hard for at least a couple hours to do this. The French have many colourful terms for bonking, mostly involving getting struck by something: coup de latte, coup d'arbuste, coup de pompier, and best of all, a visit from l'homme au marteau (the man with the hammer is described in the inimitable style of Paul Fournel as "le mechant monseiur qui vous attend au coin du bois pour vous infliger un grande coup de fatigue.") What French terms emphasize is the sudden onset of the condition; from one pedal stroke to the next you go from feeling fine to completely wrecked. The only way of averting the problem is to eat some sugar in good time, but you have no hunger pangs telling you to do so. With experience, you can sense the onset of a bonk before it happens, but not by hunger. The feeling is hard to describe; I think of it as feeling "stretched" or "close to the limit." Every 1st-time bonk by an inexperienced rider goes the same way. "You need to eat something", you say. "I'm not hungry." "That doesn't matter - eat something!" But they always ignore you. Experience seems to be the only teacher. I would love to get some data on blood glucose levels during this process (preferably from someone else), but I'm going to make a wild guess without data and say that I doubt that glucose levels fall until just before you bonk. I think that as with many other physiological parameters, your body keeps buffering your blood glucose until it can't. If that is true, it is not surprising that people who self-report as hypoglycemic are not, in fact, hypoglycemic. It is just very difficult for a healthy, non-diabetic person to become hypoglycemic. After rereading my post I feel I may have come off a little more strident than I intended. Like back pain, hunger can be 'all in your mind' but it doesn't follow that the person is 'faking it'. Likewise I am sure that there are legitimate hypoglycemics out there, but it seems to be rare. Serious question: How could a person distinguish between real hypoglycemia and withdrawal symptoms from a sugar addiction - assuming such a thing is real. I've seen smokers freak out when they weren't able to get a cigarette - absolutely with physical symptoms. They are not suffering from any physiological deficiency yet the withdrawals are real. Matt, if you want to distinguish hypoglycemia from something else, test BG when you're feeling low. The problem is that most people who aren't diabetic don't have meters. Symptoms of a low can be triggered when your BG is higher than normal if you've been running high for a long time. Say your BG levels have been about 300 for some time. Then you could feel hypo at 200. I don't think reactive hypoglycemia is that rare. Most people with type 2 diabetes lack a first-phase insulin response. That means their BG goes higher than usual after a carby meal. They still have a second-phase response, which sets in according to the BG level then. Because there was no first-phase response to keep the level down, the second phase secretes more insulin than it should and the person goes low. Clearly we are all different. Many people do well on a healthy lower fat diet. I lose weight when I embark in high fat periods (more fat, more greens, fewer potatoes/rice/beans/fruits). Effectively my system feels satiated in the presence of fat, I eat less and feel a lot less compulsion to eat. I am also less lethargic during waking hours. Glucose/starch make me sleepy. This has been talked about before - you could ask some low-carbers. The effect is not immediate. I find that a high carb meal makes me quite hungry the next day - and then LATER - I find it very easy to over-eat. There was another study that showed that people that consumed fructose containing drink before going to a restaurant would order more food - not less. One narrative attempted to explain this as the effect of the spike in trygl that fructose causes blocks the effects of leptin. Based on the ability of people eating low-carb diets to stay on the diet long-term - the long term effect seems to be a lowering of appetite. Is this due to short-term effects of glucose and insulin? I don't think so - I think it is much more complex - the reduction in appetite takes a few days for people starting a low-carb diet. There are ways to study this to get better answers - but it is much easier to get funding for cheap short term studies. We need synthetic diets that last a few weeks at a time with single variables. There is a similar effect in starvation - at first hunger is huge - but it lessens over time - by day 3 it isn't so much. Compared with a high-carb calorie restricted diet - hunger is insane and people give up. In the end, what might be much more important is that losing weight reverses T2D and the elevated insulin levels that go with it. Despite the popular idea that insulin is the thing that controls BG - it is obviously a combination of insulin and insulin sensitivity. With the collapse of the cholesterol theory of CAD there is now a narrative taking hold that the artery thickening happens first - likely as a result of some growth factor - and insulin is on the top of the list. (Insulin, like most things in biology does not have a single function (evolved beings biology do not look like a human engineered system) - beside effecting sugar entering cells, it also effects lipids entering cells and is a growth hormone - all at the same time. All part of a mesh of feedback loops that maintain homeostasis even with single point mutations. What is the fastest way to reverse T2D? You could fast - but for people that don't want to lose muscle - A low carb diet combined with heavy resistance training (google rippetoe) can produce huge differences in just weeks. Gaining 10lb of muscle in a few months is quite possible. It turns out that not all exercise has a similar magnitude of effect - barbell type weight lifting doing 5x5s close to max 3 times a week - squats etc - can improve insulin sensitivity quite rapidly compared to low intensity stuff MDs recommend due to their irrational legalphobias. So the idea should not be exercise - think training such as weights, sprints-intervals - max effort workouts with systematic recovery times - with enough protein. a) Causes drowsiness due to increased uptake of L-tryptophan by the brain, which results in under-expenditure. b) Causes down-regulation of satiety receptors in the brain. When insulin level normalises, this is interpreted as hypoinsulinaemia by the receptors, which results in excessive hunger & over-consumption. I experienced a) and b) until I tried the Atkins Diet in 1997, which eliminated these effects and allowed me to lose 28lbs. I managed to reverse my IR in 2008, so I can now maintain an even lower weight on a varied produce-based diet. 2. The satiety study by Holt et al A satiety index of common foods used potatoes that were "Peeled, boiled for 20 min, and stored at 4°C overnight; reheated in a microwave oven for 2 min immediately before serving." Potato starch when refrigerated overnight produces resistant starch RS3, which hydrolyses very slowly. This, I believe, is why boiled, refrigerated & reheated potatoes have such high satiety. You said that the experimenters measured post-infusion satiety markers -- does this include the hormones you listed? I wonder whether blood sugar levels have an effect on those -- and if so, in healthy people, in unhealthy people, in some genetically variable people? As a type II diabetic, I have noticed that the actual level of glucose is not necessarily the arbiter of hunger. If your glucose level has been staying in the 170 range and you decide to go on a low carb diet, when your glucose drops significantly below your "norm" then your body will definitely send out those hunger signals. When I first began eating a low carb diet, I would get the shakes and become ravenous, but my level was 115! My body had no way of knowing how low my blood sugar was going to continue to drop. If I could ignore the shakes and hunger for about 15 minutes, they went away. After a few days, the lower glucose level did not trigger the hunger responses. Hi this is a question about leptin and reverse T3.. I'm female 42 years old 166cm 94kg .. I have normal BP, I exercise regularly. I'm over weight by about 20kg. I'm on a paleo style diet 80/20 etc. I have a score of 24 for reverse T3 the rest of the thyroid tests are within normal. I have had a leptin test done .. I had expected it to be high as I'm over weight but it's low at "8" .. what does that mean for me? Please !? Assuming your leptin level is reported in ng/mL, your are indeed low for your level of adiposity. It may suggest that you're below your setpoint. If you've lost weight or have been eating fewer calories recently, that could explain it. We called it hypoglycemia because it doesn't have another name. But it was a real thing and still would be if he didn't eat primarily protein and fat for breakfast, with some whole grain carbs. "Hypoglycemia is not something that occurs frequently in the general non-diabetic population"
Although not strictly pertinent to the post above, this statement also supports the idea that there's absolutely no need for non-diabetic folks to eat 5-6 meals a day. If you have no major issues with your glycemic control, you will not experience hypoglycemic episodes just because you only ate 1, 2 or 3 meals on a given day. Which also means that eating regimens like alternate day fasting are perfectly safe for most non-diabetic individuals, at least from a glycemic standpoint. You write: "You've heard the story before: when you eat carbohydrate-rich foods that digest quickly, it sends your blood sugar and insulin levels soaring, then your blood sugar level comes crashing back down and you feel hungry and cranky." This is not what I've heard, but this is what I experience. After a carb-rich meal I feel a longing for sweets, even though I should feel really full. In the book "Hunger Free forever" Michael Murry and Michael (2007 Lyon report experiments with implantable glucose meters report that elevated glucose volatility and, in particular, sharp drops in glucose lead to feelings of hunger (see pp4-50). I must admit, a system that upon detecting a raid decline in blood glucose presumes that it will continue to decline sounds plausible, and in the environment where human evolved few easily digested processed carbohydrates), such a system may have been protective. They do not report who their typical study subjects were,but they appear to be those who had come to their clinic with weight problems but I suspect they were those with weight problems, not young men. I am a Medical doctor and I firmly believe in this hypthesis with sensing hypoglycemia since i am one of those who can feel when I am low in blood sugar. And i am normal weight and not diabetic. I know many question it and thats why I at a couple of times checked my blood glucose at work when I felt low in bloodsugar, and I was, around 3,4-3,6 mmol/l. I believe I can differentiate between this feeling and hunger. Hunger is more a feeling in the stomach, but low sugar is a feeling of weakness, shakiness that is not quite the same,and they do not always appear at the same time. I have never been wrong when checking myself, but Im not saying everyone who claims to be low in sugar really is. I think a study like this proves nothing, I believe the studypopulation must be persons who claim they sense low bloodsugar and the should be checked when they feel it, not at other times or when they feel hungry.